Storytelling does an amazing job at engaging the audience. Regardless of the medium used to deliver the story, the storytelling approach will turn your words into an engaging tale. It will allow you to address topics that concern people, topics people can relate to and it will make them think outside the box by asking the difficult questions and offering non-predefined answers. Video games are among the mediums that use storytelling. But videogames have a unique advantage, that sets them apart from the rest: Interactivity. The power of a branching dialogue where the player has to choose the path the story will follow, the characters’ destinies. It allows the players to immerse themselves in the story until they feel the effects of their decisions, until they are not just players or observers but they help shape the story. “In a game like Mass Effect, for example, you can see the results of angering a squad member with a mistake. Similarly, the ability to choose who you include when you go on expeditions to other planets or who you interact with is an important leap forward when it comes to storytelling. 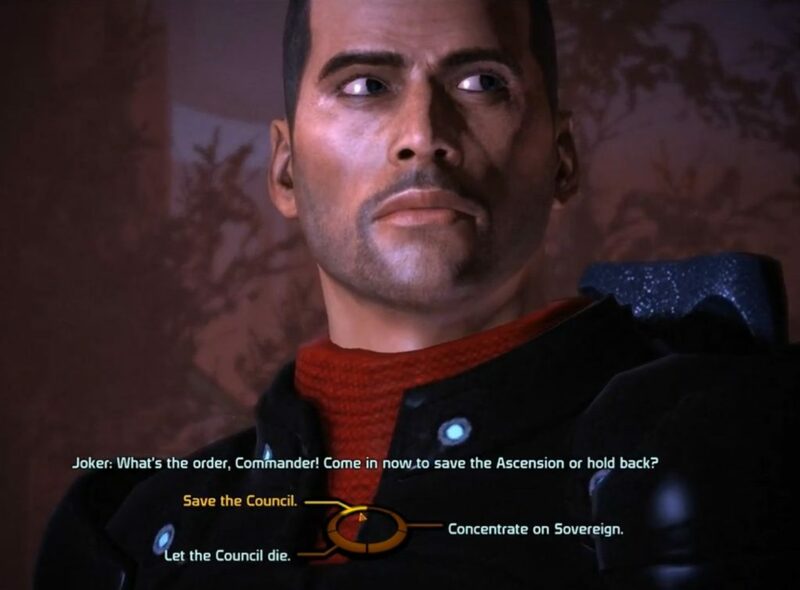 Writers must then account for all the new variables this imposes, which is a problem unique to video games, because of the medium’s interactive nature.Mass Effect isn’t the only example here where you can clearly see the title’s influence over storytelling. There are a myriad of other interactive stories that require your choices and input in order to weave an engaging tale.” – Todd Siegel. “Telling rather than showing” or turning passive experiences into interactives ones is what videogames are doing through and with powerful narrative. And that is what people love and look for when playing video games. Even with all the advantages and the huge value of storytelling in videogames though, a lot of mainstream games do not take risks and the stories they tell are conventional. This is where indie game developers come in, they have the chance to experiment with the interactive game development medium. That is how they manage to create the highly immersive stories, captivating the attention of the press, game critics and the players, attention that without the use of interactive storytelling would be very hard to get. Great additions to interactive storytelling are of course emergent virtual reality and augmented reality technologies. These new technologies give us the chance to explore even more ideas, more and better ways to experience and create stories… games.